Unlike traditional vertically cut bamboo, strand woven bamboo lasts much longer and is more durable on an everyday basis. Bamboo is considered one of the most durable flooring options available. Many consider bamboo to be a hardwood product, however the reality is that bamboo is actually a grass and not a wood at all. The material is durable and when it is shredded into smaller pieces the fibers are opened up and fused together to create a strong outer wear layer. This is then finished with an aluminum oxide finish that is extra durable and long lasting. Making the bamboo scratch, wear, and fade resistant. No material is entirely resistant to daily wear so we advice homeowners to be cautious even with bamboo. Installation starting at $2.50 per square foot. Someone will be in contact with you within 24-48 hours. Bamboo flooring has been around for decades and over the years has been both in and out of style. 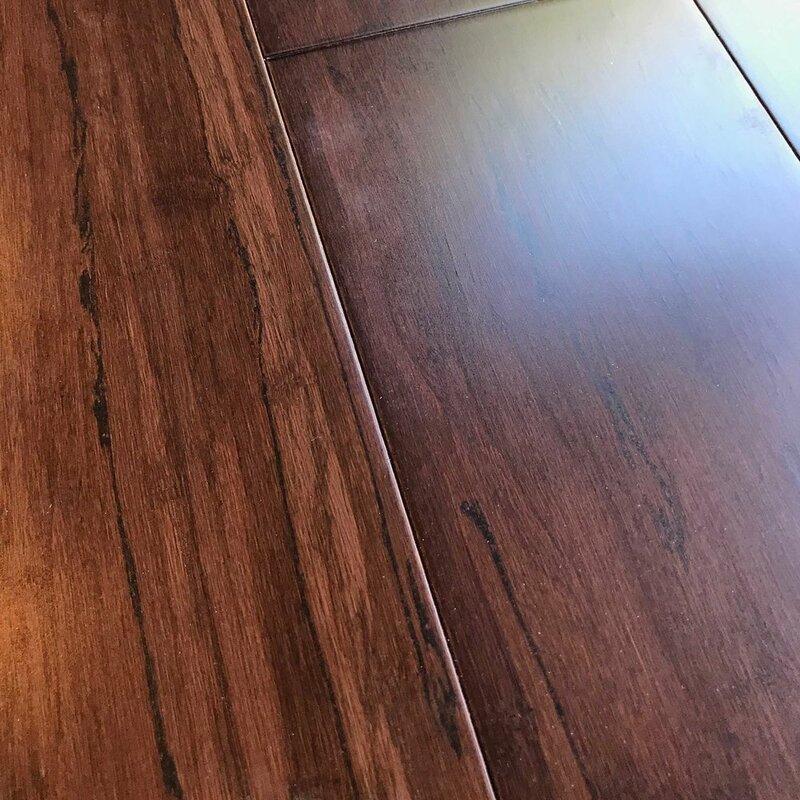 Although bamboo flooring is called a hardwood by consumers and professionals in reality it isn’t a wood and often isn't even that hard of a surface. However it is durable and an excellent flooring material for almost any home. You're Ruining your Floors... Stop! So much time, energy, and money is invested into a home improvement project you would think the average homeowner would do something to maintain that investment, right? However many homeowners do the complete opposite, without even knowing it. The things we put our floors through on a day to day basis seem harmless at first but these things can gradually cause irreparable damage. This week we will tell you how to stop ruining your floors by simply not doing these 6 everyday things.